These new compositions marry virtuouso violin and the radiant, bell-like tones of the Javanese gamelan orchestra, combining minimalist polyrhythms, lyrical melodies, and propulsive percussion. 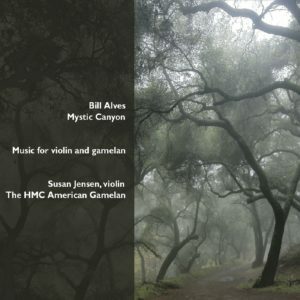 Violinist Susan Jensen is a virtuouso proponent of new music and has performed chamber music, concertos, film scores, and other works throughout the United States, Europe, and Asia. The HMC American Gamelan uses Javanese instruments tuned to pure, just intonation versions of traditional scales to create new, non-traditional sonorities. 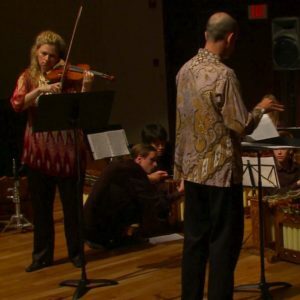 Bill Alves has been composing for and performing with gamelan since a 1993-94 Fulbright fellowship in Indonesia.